I love how it looks, too bad its so impractical. 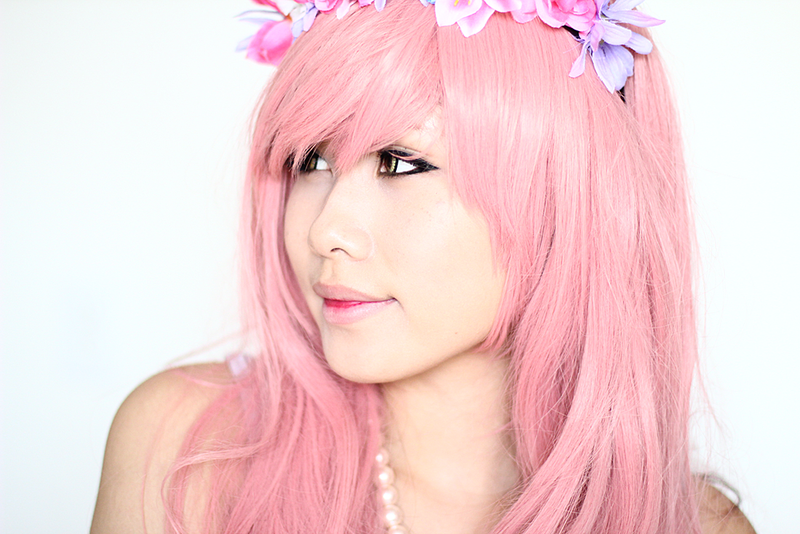 The lenses I'm wearing in these photos are the Ifairy Kirei Brown. The pattern and color shows well in dark lighting. But it doesn't show up brown, Ive had people say it looks green. Which is really strange because in regular daylight, its this gorgeous brown shade. I decided I wanted to work on a new makeup series. I'm tired of the typical everyday/natural/smokey eye makeup tutorials on YouTube. I haven't been making makeup tutorials because I was just bored with it, and everything looked the same. If the first Vocaloid Transformation goes well, Ill probably be doing a series for them. Or possibly an anime series? Arghh I love pink hair so much. 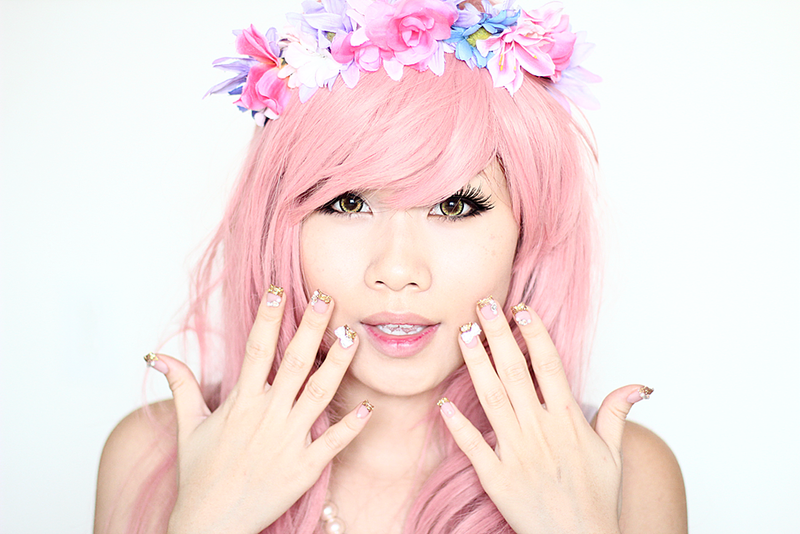 T^T Whyyy can't I have blonde hair, so I could dye it pink easily.